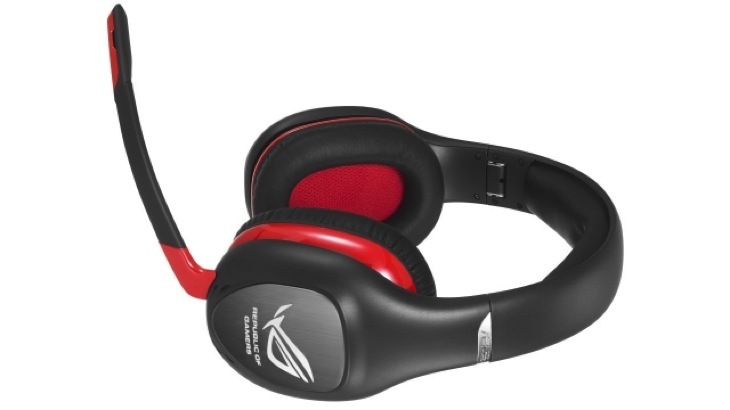 ASUS Vulcan PRO headset review – can it live long and prosper? In our last ASUS headset review for this series, we look at the ASUS Vulcan PRO, the top of the range for the Republic of Gamers. Does this headset go above and beyond the others? Is this the creme de la creme? The Vulcan is the largest headset, featuring full-sized ear cups to snuggle your hearing bits while the large and cushioned headband ensures that it rests comfortably on your head. It’s a good thing, too – weighing in at 325 grams, the headset can start to feel a bit heavy on the head. But don’t worry, the cushioning ensures that it never digs in where it shouldn’t; it is a soft and snug fit. The mic is detachable, but when attached it doesn’t always seem to sit where it should – it moves easily but seems to tend towards touching my cheek or sticking out too far in front of me. 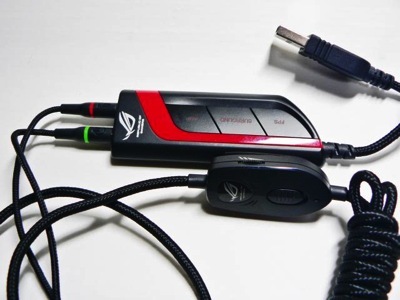 This headset give a ton of mobility thanks to the 2.5 meter braided cable, which is extended even further when using the ROG Spitfire USB soundcard. Of course, this gives gamers two things to fiddle with – you’ve got the volume adjustment ability on the main cable along with the on/off toggle for the mic, while the soundcard gives the opportunity to adjust settings for FPS, Surround and Amp on the fly. I did have a tendency to grab the wrong one at times, but it’s still nice to have that much control at your fingertips. The Vulcan proudly offers sound cancellation technology – it’s one of the key selling points. 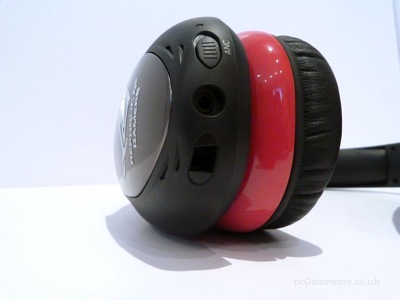 This is powered in the headset with a AAA battery and can be turned on simply by toggling the Active Noise Cancellation (ANC) switch on the left ear cup. Of course, you will know it’s on by the faint white noise “swooshing” sound you hear instead. Unfortunately, the noise cancellation doesn’t block out any noises the headset itself might make – plastic movements are still pushed directly into your ear drums regardless of noise cancellation. The actual sound quality of the Vulcan also varies depending on use of ANC or not. While ANC may help minimize some of the ambient noise in your environment, it simply isn’t worth the loss in sound quality to your actual ears. The ear cups do a decent job of muting most sounds in the room without the ANC – the dull swoosh reduces the range of sounds produced. The Vulcan boasts a frequency range of 20 Hz to 20 kHz, and reaches 54 dBFS with excellent drivers delivering a balanced stereo experience. However, at higher levels there is some degree of crackle and distortion. Thanks to the ROG Spitfire Soundcard, you can enjoy 7.1 virtual surround sound. Of course, virtual surround doesn’t compare to true surround for the true audiophiles, but it certainly does sound convincing enough for most gameplay. FPS, Surround and Amp can all be toggled on and off quickly and easily on the soundcard itself. Despite the high-end design (and price tag) for this headset, gamers may not feel that they’re getting top range value for the Vulcan. 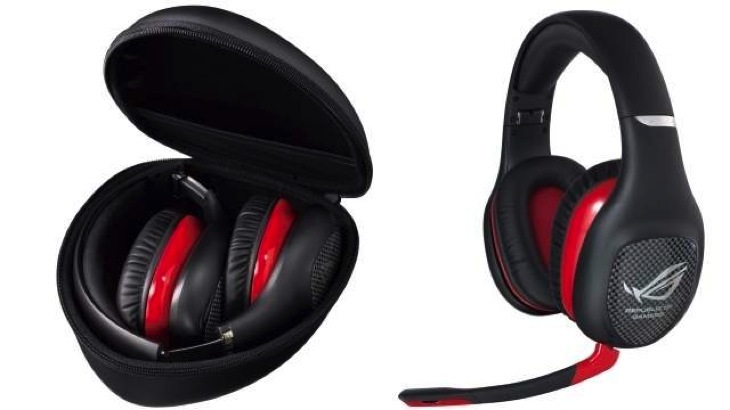 The build quality means that some gamers might hear plastic groaning when the ear cups adjust to movement and they could be prone to distortion. I’m very sad to say goodbye to all three of these headsets as they return to their ASUS masters. I am very impressed with their audio range, although I feel that the cheaper headsets were the best, offering excellent value for very reasonable prices. Previous article Here’s a new Batman: Arkham Knight gameplay trailer!